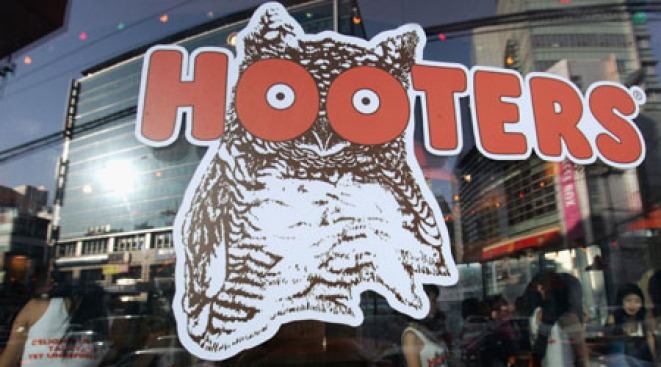 End-of-Days Watch: Hooters Comes to Brooklyn Heights? Wings-and-cleavage pushers eyeing real estate in storied enclave. Brooklyn Heights dwellers may have a new neighbor. First came Ann Taylor. Then came West Elm. (Of course, there was a Starbucks, but it landed forever ago, and really, does that even mean anything anymore? I think there's a Starbucks underneath my kitchen sink.) And now, we hear news that confirms one of our greatest fears: That beneath all of Brooklyn Heights' finery -- a storied, leafy enclave with a literary reputation bolstered by erstwhile neighborhood fixtures Norman Mailer and Arthur Miller -- beats the heart of a Nebraska shopping mall. Blogger McBrooklyn reports a rumor that Hooters may be opening an outpost of its famed girliechain in the neighborhood. That's right: Hot wings and camel toes right near casa Huxtable. So wrong, people. We're clawing onto the slim hope that the rumor won't have legs; apparently Hooters-logoed "opening soon" signs were up then down, and McB points to conflicting info about the new venture's whereabouts (Henry and Cranberry Streets? Or over in Cobble Hill on Court Street, in the footprint of a former Blockbuster Video? ), so perhaps that's a good sign. We can imagine Hooters was full steam ahead when the economy was top-heavy (yeah, we went there), but may have nixed plans amid fears that Wall Street's freefall will drain the Heights of its sizeable frat-banker populace. Bye-bye, target demographic. We can't quite picture the NPR-canvas-tote crowd bellying up at happy hour.